With Like Magic Cleaner Mini.®, clean double with the same effort. Wash and dry both sides of a window in one motion, even in the smallest corners. Both cleaners feature powerful magnets so they stay together on either side of the glass. 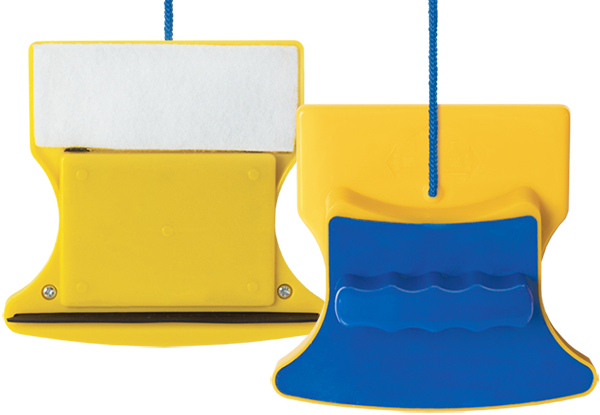 They can also be used separately for fast cleaning of other surfaces such as tiles or mirrors. Like Magic Cleaner Mini.® is perfect for small glazed areas, such as skylights or display windows. Thanks to its small size, you can take it everywhere in your car and clean the car windows in no time whenever you need. Like Magic Cleaner Mini.®, small but effective!